The Missing of the Somme is part travelogue, part meditation on remembrance—and completely, unabashedly, unlike any other book about the First World War. Through visits to battlefields and memorials, Geoff Dyer examines the way that photographs and film, poetry and prose determined—sometimes in advance of the events described—the way we would think about and remember the war. 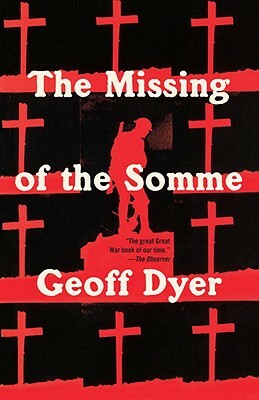 With his characteristic originality and insight, Dyer untangles and reconstructs the network of myth and memory that illuminates our understanding of, and relationship to, the Great War. A Fellow of the Royal Society of Literature and a member of the American Academy of Arts and Sciences, Geoff Dyer has received the Somerset Maugham Award, the E. M. Forster Award, a Lannan Literary Fellowship, a National Book Critics Circle Award for criticism, and, in 2015, the Windham Campbell Prize for non-fiction. The author of four novels and nine works of non-fiction, Dyer is writer in residence at the University of Southern California and lives in Los Angeles. His books have been translated into twenty-four languages.